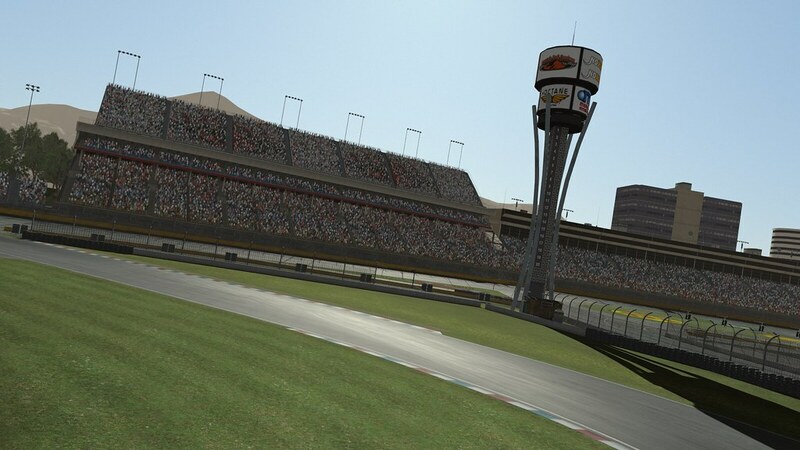 Image Space Incorporated released the Mountain Peak Speedway track for rFactor 2. 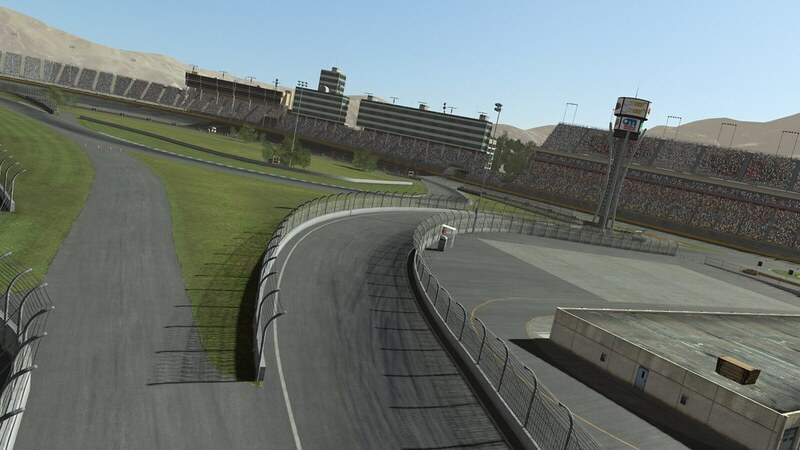 ISI points out, not to expect quality of their more recent scratch built tracks because this track is basically a refurbished version of one of the older projects. 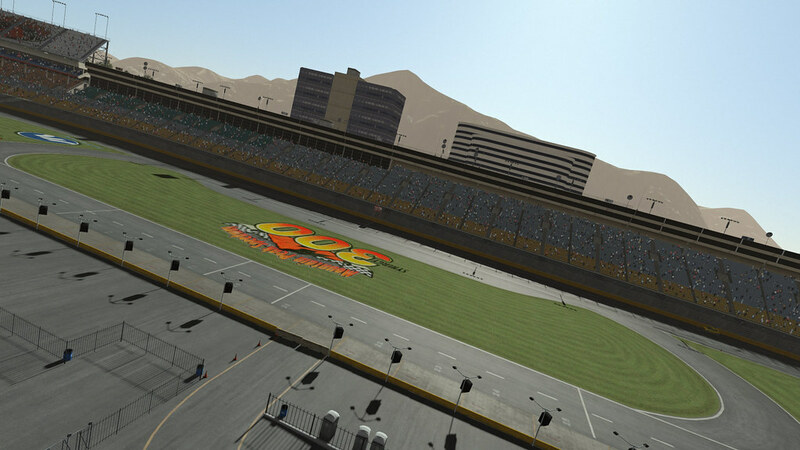 That said the track does look pretty ok in our opinion. 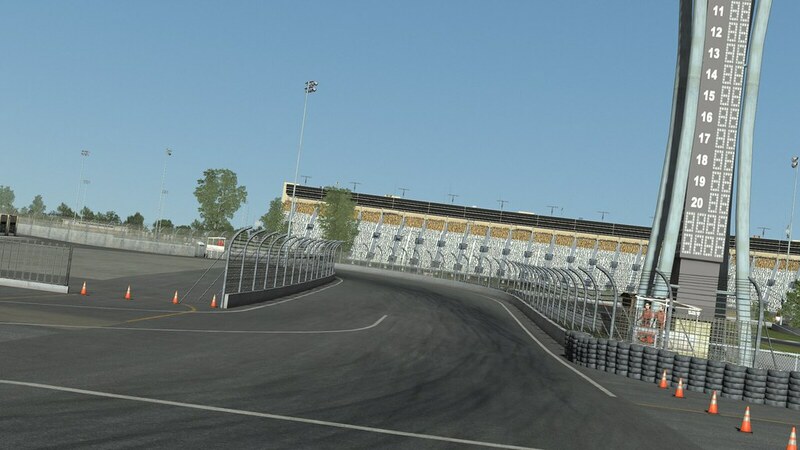 This 2.3-mile road course uses both the oval and infield. Exiting the oval just after the start/finish line, you race behind the pit complex and parallel to the backstretch, before heading back towards the pits, exiting in turn two of the oval, using that to get back around and finish the lap. 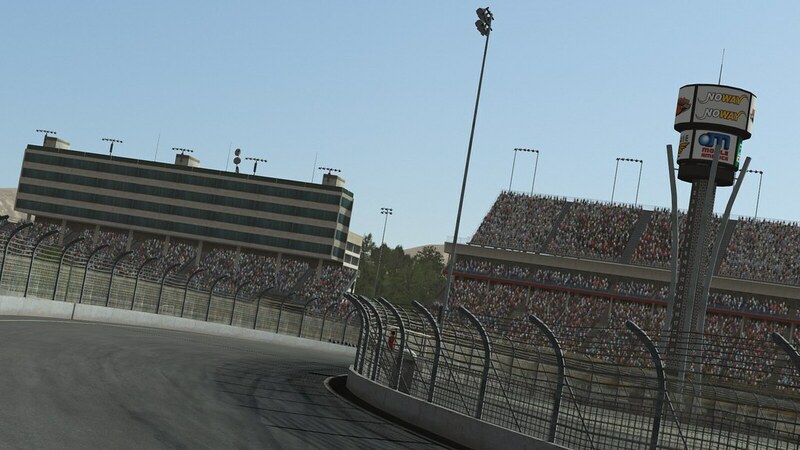 This tricky 1.5-mile oval consists of two major turns, and while the backstretch is relatively easy, the front ‘straight’ will do it’s best to throw you into the outside wall… Practice – a lot. 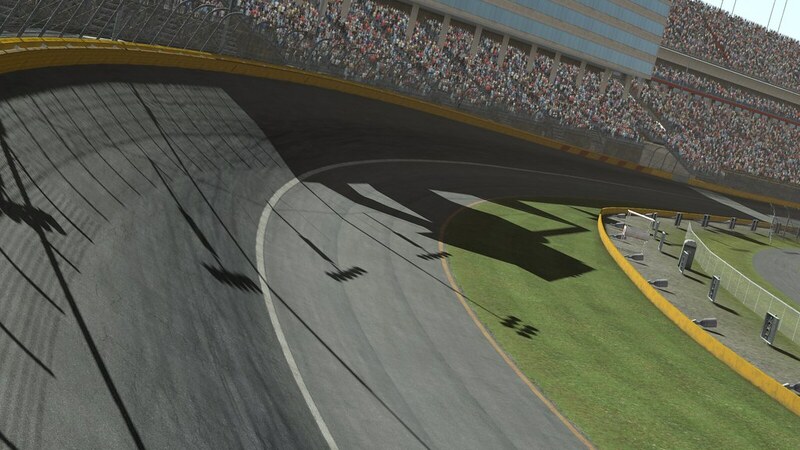 This flat and short oval is way more fun than you would expect. In a low powered car, it can provide a lot of side-by-side action. 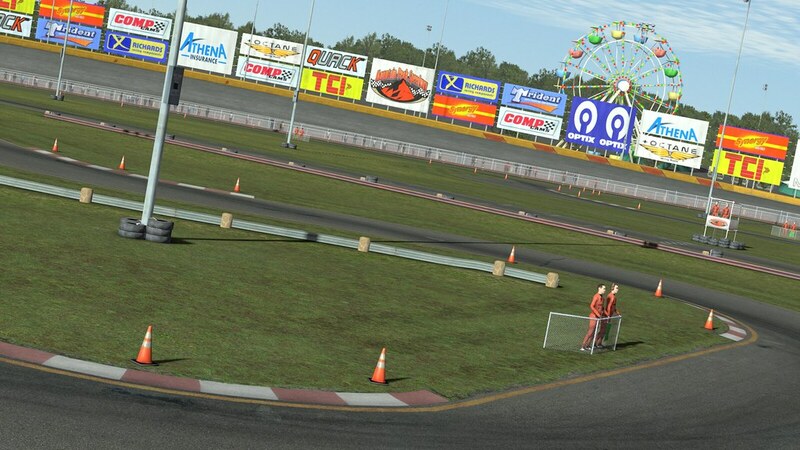 In lower powered karts, this oval is easily flat out. In karts of different configurations, there may be quite a lot of skill involved not to necessarily lap it, but to deal with traffic instead! 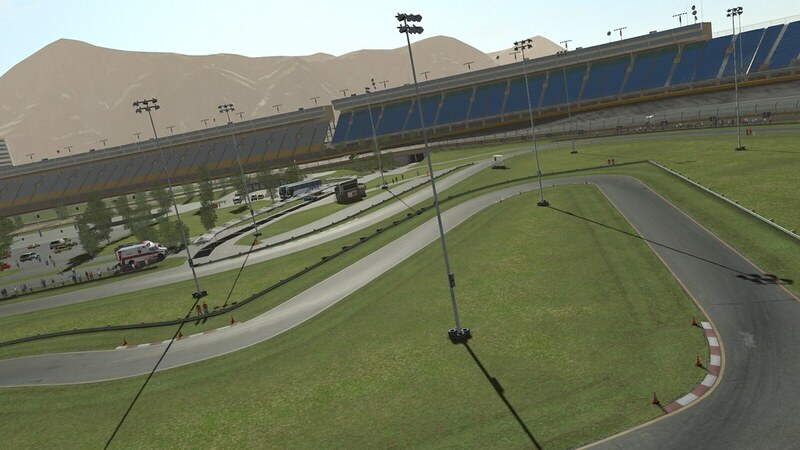 A nice flowing kart track with a couple of technical corners you need to learn quickly. Not a very high speed track. This layout can feel quite frantic, especially in traffic. Laps seem to tick off very quickly. Very nice flow to the lap once you figure it out! This is the reverse layout of the Long configuration and feels a little more high speed. It has quite a nice flow and seems to be a little less technical. 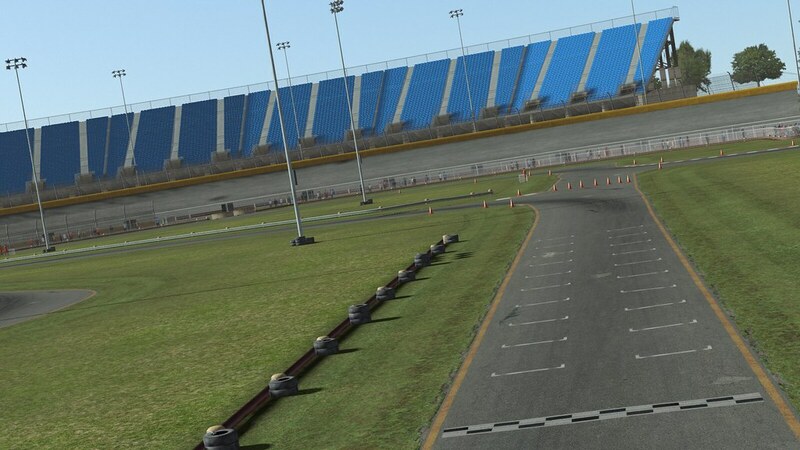 Located within a mountain range in North Carolina, this 1.5-mile oval contains a number of other layouts suitable for both oval racing and karts.